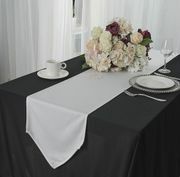 Scuba (Wrinkle-Free) Tablecloths, Non iron Tablecloths Wholesale Free Shipping over $150 - US 48 Contiguous States! 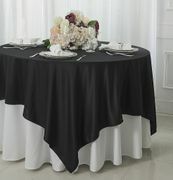 If you are looking for tablecloths that are wrinkle-free with no ironing / pressing needed, Scuba (wrinkle-free) tablecloths are the ones you always need! 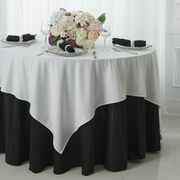 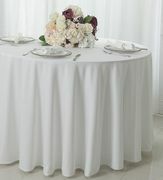 Scuba (wrinkle-free) tablecloths make cleaning and storing so much easier, no ironing / pressing, only wash, dry, and fold. 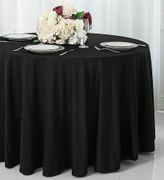 We carry scuba (wrinkle-free) tablecloths up to 120” wide without seam comparing to the width of 58 inches on the current market. 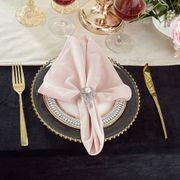 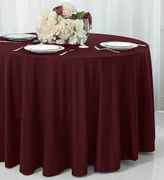 Scuba (wrinkle-free) tablecloths appear to be solid polyester yet soft to the touch with elegant / classy look and will definitely be loved by your guests.